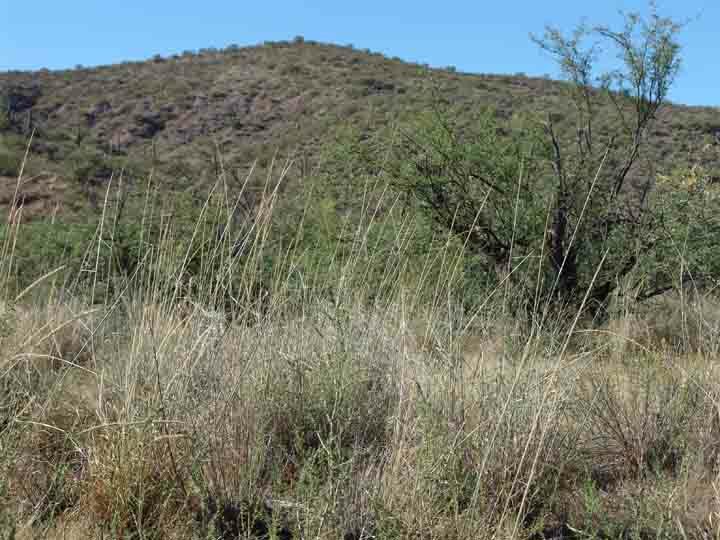 Main Sources: Gould, Frank, 1951, Grasses of the Southwestern United States, Tucson: University of Arizona Press; Kearney, Thomas & Robert Peebles, et al, 1960, Arizona Flora, Berkeley: University of California Press; McClaran, Mitchel & Thomas Van Devender, 1995, The Desert Grassland, Tucson: University of Arizona Press; van Devender, Thomas & Mark Dimmitt, "Desert Grasses", in Phillips, Steven& Patricia Comus, eds., 2000, A Natural History of the Sonoran Desert, pp. 265-80, Arizona-Sonora Desert Museum Press, Tucson; Ruyle, George & Deborah Young, eds., 1997, Arizona Range Grasses, Tucson, University of Arizona College of Agriculture; Conservation Districts of SE Arizona, n.d., Grasses of Southeastern Arizona, USDA Field Guide. The image above shows the contrast between these two closely related grasses: the inflorescence of the Sand Dropseed is on the left and the Spike Dropseed on the right. 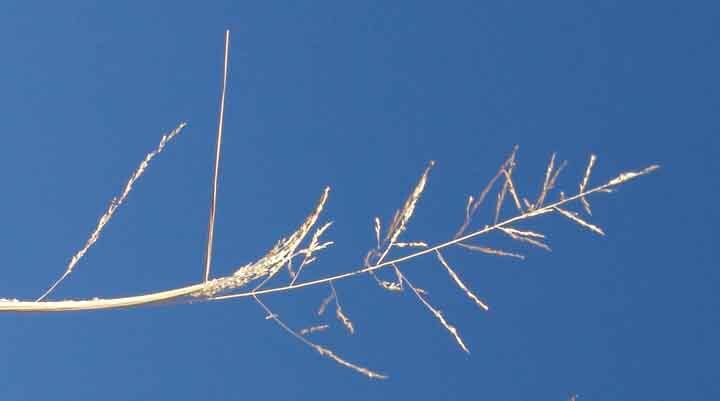 The Sand Dropseed inflorescence is open and spreading at its upper portion (for a close-up, click here), while the Spike Dropseed inflorescence is dense and contracted (for a close-up, click here).